Tech Center: Will the Computer Mouse Die? Apple yesterday unveiled a new line up of stuff which includes the 27-inch Apple LED Cinema Display which will be available later in September this year, New line up of Mac Pros powered by Intel Xeon “Nehalem” processor having 4, 6, 8, or 12 cores which is claimed to be the fastest Mac Pro ever they will also feature the new SSD (Solid State Hard Drives) as an option for performance hungry users, it will be available next month. A new lineup of iMac which feature the latest core i3, i5, i7 processors. 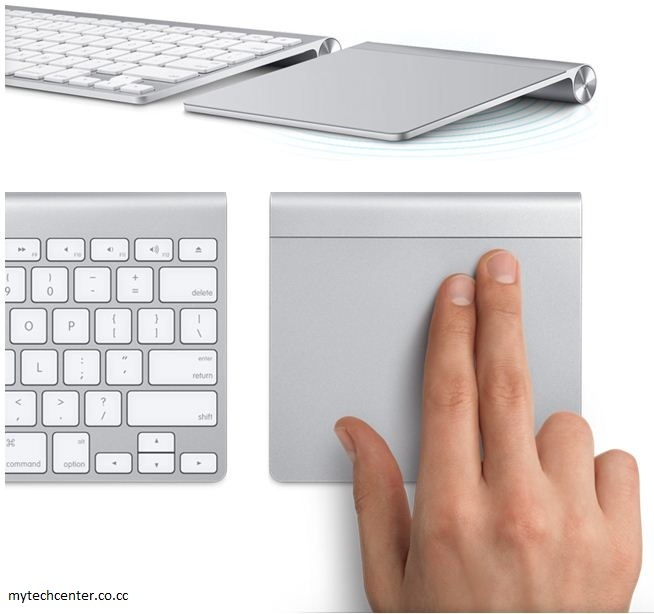 The most interesting news here is the new Magic Trackpad which will make the mouse history for most mac users. Finally multi touch has made to the desktop as well, the magic trackpad is something like a touch pad in mac book pro grown big. It is the largest trackpad ever made. Its made out of wear resistant glass surface. It has a really great ergonomic design to it and fits in perfectly besides the Apple Wireless Keyboard so you can type and use the touch pad without any problem. The trackpad works on bluetooth so it gives you the freedom from wires works upto 33 feet. The surface is so design that it is like a big click button. It supports an array of gestures which make your tasks much easier. It has muti touch so you can use the pinching gesture to zoom in or spin a window or such kind of tasks. You can assign gestures as you choose. The big thing here is Apple said that Magic TrackPad will also work with Windows P.C. you will have to probably install softwares for that so you can use gestures based action too. Detail about how this is going to work aren't available yet. It works on 2 AA size batteries just like any other wireless mouse. It is already available for shipping at the online apple store. You can buy one for $69 which isn't that cheap. The question here is will the Magic track pad replace the Mouse? Well my personal answer is "NO". The mouse is know for its precision and people all over the world find it easier to use it than a trackpad. It's really difficult to use track pad when it comes to precision work like cad modeling, designing and playing P.C. games as well. It will take a bit longer for the mouse to be a thing of the past.